Adding potentially deep pockets to the debate, the Lincoln Club of San Diego County board of directors Thursday voted to oppose the SoccerCity proposal for the Mission Valley stadium site and back a rival ballot plan by Friends of SDSU. He added via email: “The Lincoln Club opposes the SoccerCity initiative.” But Pepin said the club has yet to decide how much to spend in the fight. “Regarding financial support, the Board evaluates political races across San Diego County and will determine where to allocate additional resources as Election Day approaches,” he said. 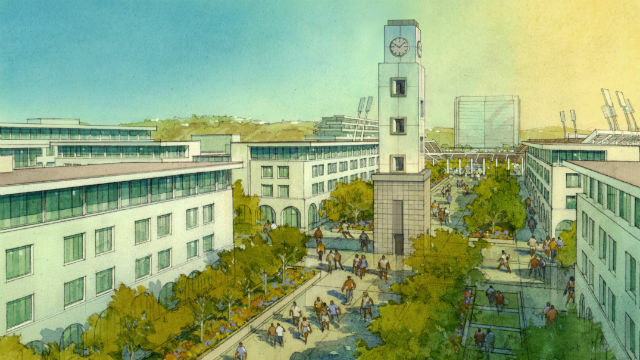 The news came a day after the backers of SoccerCity filed suit in hopes of removing the SDSU West initiative from the November ballot. Before taking a stand on the redevelopment issue, Pepin took part in his first extended interview since being elevated to president of the club known for spending millions of dollars on local candidates and causes. The club, which boasts 350 members, has been a lightning rod for criticism by Democrats and liberal groups over the years, pointing to controversial campaign ads and what they considered efforts to skirt city campaign spending rules. The San Diego Ethics Commission has audited the Lincoln Club many times over the years and regularly gives club spending a clean bill of health. In recent years, the club has funded temporary PACs to advance its candidates, with names such as Communities United for Tomorrow’s Economy (supporting the 2016 re-election of Mayor Kevin Faulconer) and Coastal Communities for a Fair Economy (backing Ray Ellis for 2016 City Council). In 2014, for example, Lincoln Club-financed PACs spent $375,000 to elect Chris Cate as San Diego councilman, $141,000 for Councilwoman Lorie Zapf and $398,000 to defeat mayoral candidate David Alvarez. The club-sponsored PAC to defeat Councilman Alvarez in that special election was named Working Together for Neighborhood Fairness. According to inewsource, the local Lincoln Club spent $837,000 in 2008 — after $685,000 in 2006, $330,000 in 2004 and $392,000 in 2002. One of its biggest efforts came in 2011-12, when it spent $415,361 to support San Diego’s Proposition B, overhauling the city’s pension and retirement system. But the Lincoln Club-sponsored Nuestro Pueblo Unido Para El Progreso in support of Blanca Lopez-Brown for City Council 2013 was subject of a fine,* said a 2015 annual report. “Alan English and (then club president and CEO) T.J. Zane paid a fine of $1,500 for failing to disclose on campaign statements that T.J. Zane was the committee’s principal officer, and for failing to disclose payments to Jim Bieber for consulting services,” the report said. This interview was conducted by email over recent months. Times of San Diego: How much of your club’s money comes from memberships? What other funding sources do you have? Brian Pepin: The club is a membership-based organization. Two-thirds of our funds come from memberships with some additional funding from event sponsorships and general support of the club. What is the endorsement and PAC spending process for Lincoln Club? The club’s endorsements are determined at meetings open to all of our members. Endorsements are determined in a process where all of our members are invited to attend an endorsement meeting where they hear directly from candidates. The Board of Directors provides final approval for endorsements and determines how and where we focus our spending in any given election cycle. How does somebody join your board? Any current member is invited to apply for a seat on our Board of Directors. The Board votes on new board appointments. Why does the Lincoln Club hold its election night party at the U.S. Grant Hotel? The U.S. Grant has been an excellent venue for The Lincoln Club’s election night party for many years; it’s a block away from Golden Hall and provides a great environment for our endorsed candidates to interact with the public and the media on election night. Are any of your club events open to the media? Many of our events are open to the media. Our Election Night party is full of media; in fact, we make it as easy as possible for the media to interview candidates and cover election night speeches from the event. We have also had debates, panels, and post-election forums hosted by members of the media and covered by numerous news outlets. With the changing demographics in San Diego – going from a traditionally Republican town to a Democratic town — how might the Lincoln Club adjust its approach? The Lincoln Club is a nonpartisan organization that supports Democrats, Independents and Republicans who want to see a thriving local economy. Regardless of party registration, candidates who believe in opportunity and the free market will always be successful in San Diego County. In 2014, Jim Miller called the Lincoln Club a “stealthy nexus of economic and political power” and “a political entity bent on maintaining San Diego’s de facto private government led by the local power elite in perpetuity by any means necessary.” How is the Lincoln Club addressing this sort of criticism? As a publicly registered Political Action Committee, everything the Lincoln Club does is open and transparent – it has to be. The Lincoln Club welcome members from every walk of life and every part of San Diego County and they all get a strong voice in our organization. Our success in growing our membership these past few years is a testament to this commitment. Will the club pick one of the many Republicans running to be Issa’s successor? If so, when? The Lincoln Club has not made an endorsement in the 49th Congressional District. Are you associated with other Lincoln Clubs in the state? If so, do you coordinate on endorsements and donations? There are a number of other Lincoln Clubs in the state but each group is independent and autonomous. Since you arrived at the club, have any Democrats been endorsed by your club? Since I have been a member of the Lincoln Club the organization has supported numerous Democrats for office. In the last election the Lincoln Club endorsed Tasha Boerner Horvath in her successful run for Encinitas City Council. 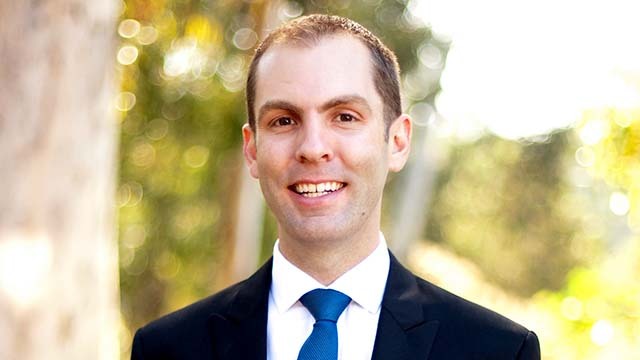 In recent years the club has supported Democrat Tony Young, who served as the San Diego City Council President, and Democratic City Councilmember Pamela Bensoussan in Chula Vista. Thanks to Prop. K, San Diego elections will be decided in November instead of potentially in the June primary, and Democrats think they have an advantage. How will you overcome that possible Democratic advantage? The Lincoln Club has a very long track record of being successful in both June elections and November elections. For example, Chris Cate’s election went to a November ballot and he won as a first-time candidate. Candidates who support job creation and economic opportunity will always be successful, regardless of the date of the election. Mayor Kevin Faulconer has sided with liberals on fighting climate change and supporting trade deals with Mexico. This puts him on the opposite side of President Trump. Where does the Lincoln Club stand on cap-and-trade (to control emissions fueling climate change) and NAFTA? positions as a whole and determine who is the most supportive of pro-business policies. Therefore, the Lincoln Club does not have a support or oppose position on cap-and-trade and NAFTA. Should the San Diego City Council OK a government-controlled energy program and support community choice aggregation? Again, the Lincoln Club is focused on getting good people elected to office, rather than weighing in on specific policy proposals. During the club’s endorsement process we evaluate candidates’ policy positions as a whole and determine who is the most supportive of pro-business policies. Therefore, the Lincoln Club does not have a position on energy programs. Should the San Diego City Council more tightly regulate Airbnb short-term rentals? Again, the Lincoln Club is focused on getting good people elected to office, rather than weighing in on specific points of policy. During the club’s endorsement process we evaluate candidates’ policy positions as a whole. Therefore, the Lincoln Club does not have a position on vacation rentals. San Diego County Gun Owners is critical of the club endorsing for Sheriff Gore for his stance on concealed weapons. Why did the club endorse Gore? San Diego County continues to have one of the lowest crime rates in the country with violent crime at historically low levels. For San Diego to continue to be a place where businesses, large and small, can start up, grow, or relocate, public safety must be a priority. Sheriff Gore has proven to be an effective sheriff and that’s good for economic growth in our region. Has the Lincoln Club in your time ever endorsed a candidate not also endorsed by the San Diego County Republican Party? If so, who? office many times. For example, last election cycle the Lincoln Club supported Encinitas Mayor Kristin Gaspar for county supervisor while the Republican Party endorsed Escondido Mayor Sam Abed in a hard-fought campaign for the District 3 seat. Not all San Diego business people are conservative. How do you balance their interests with those of businesses advocating conservative policies? and focused on economic issues and business development. *An earlier version of this story incorrectly said the Lincoln Club was fined $5,000 in 2017 by the San Diego Ethics Commission. The Lincoln Club was mentioned in the stipulation, but the fined respondent was the San Diego Regional Chamber of Commerce.